Fighting broke out in Papun Township between the Karen National Liberation Army government troops on February 27 that resulted in one Karen soldier killed and one wounded. The fighting happened in territory under the control of the KNLA’s 5th Brigade. 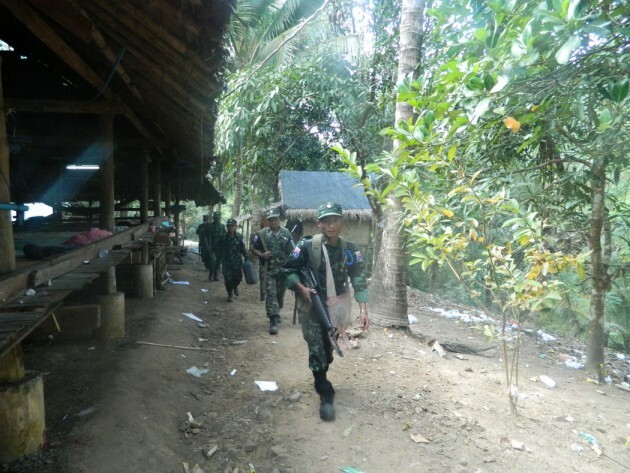 An official from Karen National Union, Padoh Saw Pha Gaw, confirmed to Karen News from Papun District that the fighting was between government troops Light Infantry Battalion (LIB) 543 under Military Operation Command (MOC) #5 that is based at Kho Thaw Kho camp and local KNLA soldiers. Padoh Saw Pha Gaw said that the fighting occurred as Burma army coming into restricted area of KNLA controlled territory. Speaking to Karen News, Padoh Saw Pha Gaw said. Sources from the KNLA 5th Brigade said that they had reported the incident to their headquarters. Karen News spoke to Colonel Aung Lwin, the Minister of Border Security Affairs who said. here was also fighting between troops led by the former Democratic Karen Benevolent Army, Colonel Saw San Aung and Burma Army soldiers under its Military Operation Command (MOC) #13 based in Kyaikdon Town on February 27.